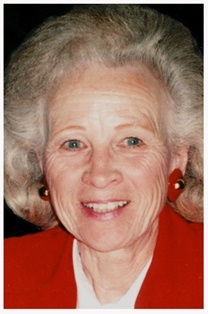 Elizabeth A. Streff, “Liz”, 81, of 907 N. Webster Street, Port Washington died peacefully at her residence on June 3, 2014. She was born September 18, 1932 in Port Washington, Wisconsin to Vincent and Martha Hauswirth Michels. A lifelong resident of Port Washington she married Eugene “Gene” Streff of the town of Port Washington on May 21, 1955 at St. Mary’s Church in Port Washington. Liz was an active volunteer throughout her life. She volunteered as a teacher’s assistant at Port Catholic School, with the Meals on Wheels program and was a team sponsor for the Relay for Life. She loved traveling the world with her husband and enjoyed spending time with her family especially her grandchildren. She is survived by her husband Eugene “Gene” Streff and children Mary Jo (Mike) Hauser of Random Lake, Kevin (Sharon) Streff of Grafton and Sharon (John) Uselding of Port Washington. Further survived by her grandchildren Nicole and Michael Hauser, Cameron, Natalie and Brennen Streff and Meghan, Matthew and Allie Uselding, sister Mary (the late Chuck) Nash of Thiensville, sisters-in-law Janice Streff of Port Washington, Renee Streff of Mequon and Diane Michels of Saukville, other relatives and friends. She is preceded in death by her brother Vincent Michels and brothers-in-law Walter and Lester Streff. The Reverend Patrick Wendt will celebrate Mass of Christian Burial 6:30 pm Tuesday, June 10, 2014 at St. Peter of Alcantara Catholic Church, 1802 N Wisconsin Street, Port Washington. Interment parish cemetery. Visitation 3 – 6:30 pm Tuesday AT CHURCH with a 3pm rosary. Memorials to Port Catholic Endowment Fund (1802 N Wisconsin Street, Port Washington, WI 53074) or American Cancer Society Relay for Life (Relay For Life of Southern Ozaukee, P.O. Box 902, Pewaukee, WI 53072) appreciated. It has been 60 years since I have seen anyone from my class of 1951. I have many good memories of Port Washington. I remember Liz and Mary as super people. You have my condolences. So sorry to hear of Liz passing, even though it will be to a better place. We’ll keep her in our prayers. My thoughts and prayers go out to the Streff family. My God bring you peace in you loss.